Much has been said about the rapid rise of mobile commerce. Every year, consumers are increasingly willing to make purchases on their mobile devices, and this fondness for smartphone shopping is pushing merchants to offer robust, sophisticated mobile shopping experiences. Beyond conversion, mobile devices play a critical role in the more traditional, in-store shopping journey. Consumers use their devices to research and compare products before physically engaging with them in stores. These multi-channel shopping journeys have acted as the catalyst for commerce-focused virtual reality (VR) and augmented reality (AR) applications. This type of technology has the potential to revolutionize the shopping experience. Conjoining digital convenience with a realistic, relevant physical experience has been well received across industries, but the important question is whether our devices and networks can support these bandwidth-intensive experiences. With 5G, they finally will be able to. 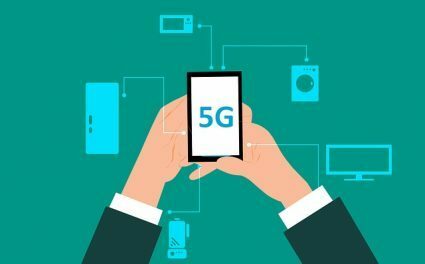 Essentially, what these numbers signify is that 5G networks will be able to transfer data much faster to more devices, more efficiently, than ever before. This represents a quantum leap in mobile capabilities, and will serve to unlock the vast potential of VR and AR applications from a commerce perspective. As it stands, retailers already spend over $1B annually on VR/AR solutions, and this number is growing by a whopping 240% per the VR/AR Association. Industry experts, like Eric Prince of Cimmerse (a commerce-focused VR/AR startup), see the increased speeds and efficiencies of 5G networking as the key to unlocking larger and more immersive virtual settings and shopping experiences. These experiences are ostensibly impossible to deliver on today’s 4G/LTE networks. 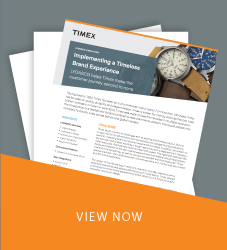 Latency – the time it takes for a packet of data to travel from one point to another – is currently too high to render virtual images, communications, and experiences in real-time. These VR/AR experiences need latency values in the single-digit milliseconds, and 4G networks just can’t get their lag values this low. From VR/AR to IoT applications, 5G networks are projected to inject an additional $12B into mobile commerce by 2021, according to Adobe. That being said, this assumes a smooth and speedy rollout of 5G infrastructure, but nonetheless, adding speed and removing friction from the customer journey will definitely translate to increased sales. Implementing 5G networks will prove a large challenge for the US. Currently, American cellular infrastructure is based on monolithic, 200-foot cell towers, whereas 5G is based on numerous small cells affixed to light poles, stop signs, and other everyday, primarily urban, fixtures. This will require more than a large investment; the US will need an entire cellular paradigm shift in order to roll this out efficiently. Across the globe, China has been blowing the US out of the water, building 350,000 cell sites since 2015 compared to a paltry 30,000 in the US. The Chinese plan on spending over $400B by 2020 on their 5G rollout, and getting out in front of the technology represents a massive opportunity. First-adopter countries will be able to sustain a competitive advantage for more than a decade, says a Deloitte report on the subject. 5G technology will lie at the center of the new, hyper-connected world of the 2020s. From shopping to smart devices to self-driving vehicles, these new mobile specifications will usher in a new era of connectivity that promises to bring merchants and shoppers closer than ever before.